St. Louis Blues: The Blues play at home against Colorado Avalanche on Thursday. There are themed tickets to the game for Boy and Girl Scouts and their families. All scouts will receive a Blues patch with themed ticket. Saturday’s game against the New York Rangers is St. Patrick’s Day themed with a Blues Kids For Kids Puck series event. A limited amount of autographed St. Patrick’s Day themed pucks will be sold for $40 to benefit the Blues for Kids Foundation. Miranda Lambert Livin’ Like Hippies Tour: Miranda is making a stop in St. Louis on her 2018 tour with special guest Jon Pardi. Miranda is a certified platinum album country music singer/songwriter. She has won two Grammys, 23 Academy of Country Music Awards, 5 ACAs, 7 CMT Music Awards, and 13 CMA Awards. Her hits include: “Baggage Claim,” “Gunpowder and Lead,” “Crazy Ex-Girlfriend,” “Mama’s Broken Heart,” “House That Built Me,” “Heart Like Mine,” “White Liar,” “Little Red Wagon,” “Somethin’ Bad (duet with Carrie Underwod),” “Vice,” and many more. Tickets start at $29.75. K.D. Lang Ingenue Redux 25th Anniversary Tour: Celebrating the 25th anniversary of her GRAMMY®-award winning, critically acclaimed album Ingénue, k.d. lang has announced a nineteen city concert tour that will bring a live performance of the platinum-selling record to venues across the United States. As part of this tour, Lang will perform songs from Ingénue – including the GRAMMY® -award winning hit “Constant Craving” – along with hits from her 2004 album Hymns of the 49th Parallel. Special guest is Grigoryan Brothers. Tickets start at $36.50. Meet The Irish Dinner: This annual dinner takes place the night before the St. Patrick’s Day parade. It is a formal evening of dinner and entertainment. The “Meet the Irish” Dinner begins with cocktails and entertainment. During dinner, we introduce our various dignitaries from Ireland and the United States. And, after dinner, there is dancing. It is a fitting kickoff to the events of the parade weekend. Entertainment provided by THAT 80’S BAND and Meghan Torno School of Irish Dance. Tickets are $120. St. Patrick’s Day Downtown Parade & Run: One of the biggest parades downtown St. Louis has to offer begins with a 5 mile run with over 8,000 participants at 9am at Ballpark Village winding through the streets of downtown and midtown. Following the run, the parade with theme St. Louis Irish Heritage begins at 20th and Market at 1pm. The parade will feature over 120 units including marching bands, floats, cartoon character balloons, marchers, and clowns. After the parade, head over to Soulard to McGurk’s for a St. Patrick’s Day celebration for good craic and live music all day and night. Music by: Keepin It Real, Ladlane, and Falling Fences or to Ballpark Village for a variety of St Patrick’s Day festivities. St. Pat’s Day Whiskey Festival: Join the special St. Pat’s Whiskey Festival that will excite your pallet and tease your taste buds! Get ready to engage your senses, connect with others and enjoy a memorable moment. Enjoy an intimate setting with whiskey reps showcasing a few of their top brands. Tickets include: 2 hour whiskey tasting, featured food and drink specials, and special whiskey giveaway. St. Patrick’s Day at Ballpark Village: It’s a whole day of fun for all ages. The day starts off with meeting at Ballpark Village fro the start of the downtown St. Patrick’s Day Run. The runners village/post-run events will take place on the Busch II Infield. At 10am, the party begins inside at Howl at the Moon with Kegs & Eggs. Between 10am-2pm, enjoy food and draft beer specials, including $3 green Bud Lights plus $15 green tea mini buckets. Tickets are $25. At 8pm, Budweiser Brew House hosts their Pot of Gold Party. Enjoy party favors, gold swag, and get entered into a pot o’ gold giveaway. There will be drink specials including $5 Goldschlager and applesauce cocktails, $4 Michelob golden lights, and more. Wear green and enjoy $3 Bud Light drafts all day long at FOX Midwest Sports, Budweiser Brew House, and PBR. The Eagles: The Eagles are making a stop in St. Louis on their North American tour with special guest JD & The Straight Shot. Come out and hear classics like “Take It Easy,” “Witchy Woman,” “Desperado,” “Lyin Eyes,” “Take It To The Limit,” “Hotel California,” and many more. Tickets start at $96.50. Countdown to Spring Wine Dinner: Travel to wine-producing regions around the world through a five course dinner hosted by a visiting wine expert. Chefs from Catering St. Louis will create the regional menu, pairing each course with a different wine from the same region. Courses include: smoked shiitake mushroom consomme with herbed gnocchi, radish and watercress salad with tarragon vinaigrette, red curry braised greens, cauliflower, and tomato over cous cous with garbanzo beans, grilled lamb chop, fig compote, roasted fingerling potatoes, and apple strudel perogies. Each course is paired with a meal-enhancing wine. Cost is $70 per person (plus 18% service charge and tax). Advance reservations required. An Evening with Bill Nye: Learn from America’s favorite scientist, Bill Nye the Science Guy, during an evening filled with talks of climate change, space exploration, the importance of science, and more, presented by UMSL’s Office of Student Involvement. 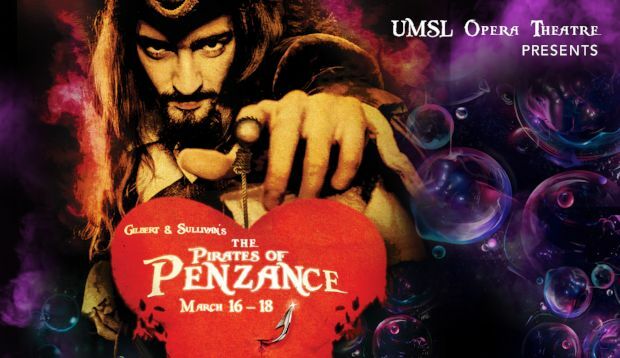 The Pirates of Penzance: Presented by UMSL’s Opera Theatre, this Gilbert & Sullivan opera tells the tale of star-crossed lovers with renegade mermaids, plenty of pirates, and intrigue and hilarity. We take our silliness very seriously and have asked pirate expert Dr. Mark Hanna to shiver our timbres in a pre-concert lecture. Enjoy a guaranteed evening of musical frivolity. Pre-show lectures begin at 7:15pm. Tickets are $10 for general and $5 for UMSL students. Dogtown St. Patrick’s Day Parade: The annual must attend parade in St. Louis. The Ancient Order of Hibernians has sponsored this parade since 1984 – it is always held on St Patrick’s Day. The parade starts at 10am at Tamm & Oakland and ends at Tamm & Manchester. The grand marshall is former sport-talk radio host, Brian McKenna. Come out and join in the revelry, and don’t forget your green. 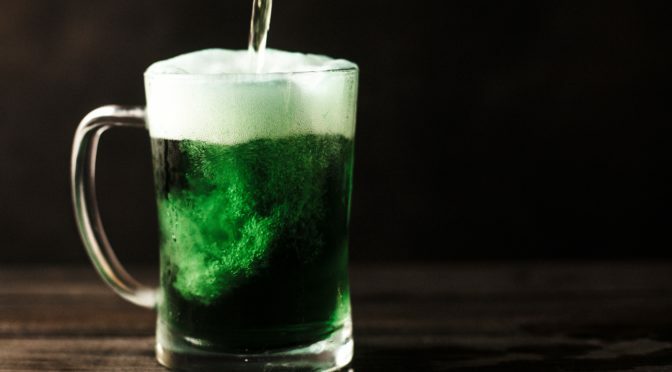 After the parade, head to the local hotspots like Seamus McDaniels and Pat Connolly Tavern for green beer and live music. Fanfare of Quilts Show: Check out 350+ quilts, plus special exhibits from quilt artists including author and award winner, Suzanne Marshall. Vendors including: Colors Custom Dyed Cotton, Jackman’s Fabrics, Crafts Unlimited, Abby’s Sewing Center, and more will be on-hand. There will be a charity ticket raffle, demonstrations, antique bed turning, quilt raffle, sewing machine raffle, and more. Admission is $7 and good for both days. An Intimate Evening of Songs and Stories with Graham Nash: Legendary singer-songwriter GRAHAM NASH is a two-time Rock and Roll Hall of Fame inductee-with Crosby, Stills, and Nash and with the Hollies. He was also inducted into the Songwriter’s Hall of Fame twice, as a solo artist and with CSN, and he is a GRAMMY Award winner. Tickets start at $41. Cottleville St. Patrick’s Day Parade & Run for the Helmet: The 10th annual Run for the Helmet 7K benefits local charities in the community. There are 2 options: a timed 7K and 2 mile fun run. Following the run is the parade beginning at 12pm with over 100 floats, walking units and clans. The parade begins at Weiss Rd near Warren Elementary and ends at Francis Howell Central. The Irish Tenors: The Irish Tenors have been the acknowledged Celtic music kings since they burst upon the scene during a 1998 PBS special. With 10 best-selling CDs to their credit, they share company with the likes of The Three Tenors and Andrea Bocelli as the biggest money makers PBS has presented. The Irish Tenors rekindled the love of all things Irish in America, and opened the door for countless Irish music groups to hit the United States. Tickets start at $49.50.